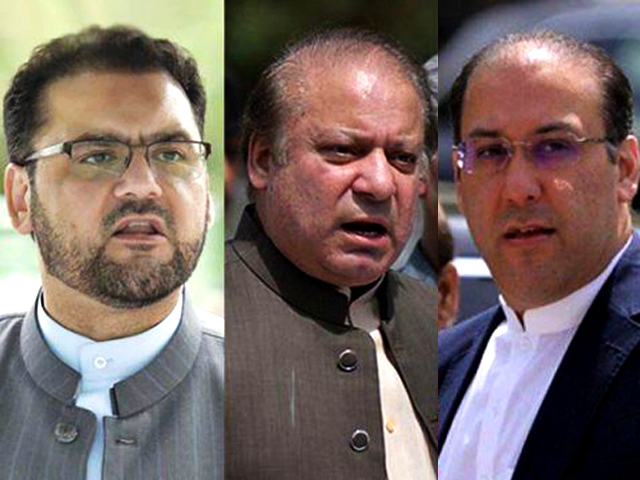 Accountability Court judge Muhammad Bashir has excused himself from hearing two corruption references against former prime minister Nawaz Sharif and his children. According to our correspondent, the judge has written a letter to Chief Justice Islamabad High Court telling the chief justice that he would not hear the Flagship Investment Ltd and Al-Azizia Steel Mills references after objections by Nawaz Sharif’s lawyer. The court should transfer the references to any other court or appoint my alternate since I have announced my verdict in the Avenfield reference, said the judge in his letter, according to sources familiar with the proceedings of the high court. Nawaz and his sons Hassan Nawaz and Hussain Nawaz are accused in all three references. The accountability court has declared Hassan and Hussain proclaimed offenders. Nawaz Sharif, Maryam and her husband Safdar were convicted and sent to jail last week in the Avenfield reference involving purchase of luxury flats in London. They have filed an appeal in the Islamabad High Court against the conviction seeking their release on bail.